A leasing agent is hired by a property owner to provide expertise and guidance through the often scary task of finding great and reliable tenants. It is important when selecting an agent that you are able to communicate effectively and feel assured through the process that the agent is providing the due diligence that your property deserves. Before hiring a leasing agent, every investor should review the following checklist to ensure their property is in capable hands. An agent should inform an owner when the property is listed. It is also beneficial to send a link of the listing for the owner to read and review. While the property is on the market it is important for an owner to receive updates on the response to the marketing and the feedback from potential tenants. This provides insight for the owner to use for future investments, and builds trust with the agent as the owner is aware of the progress and possible complications. As an agent, we rarely find a great tenant in the first showing or even the first application. Owners should feel confident that applicants who may become tenants are discussed with the owner before signing a lease, especially if the owner will be self-managing the property. This information will allow an owner to feel in control of their investment. 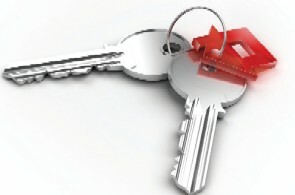 Even if an owner is working with a property manager, they should always request a copy of the lease. This is an essential documentation if there is ever a dispute or disagreement. Not having any contact or financial information can cause panic in any event when it is needed to follow-up with any issues regarding the property. Information might include: How many occupants and pets will reside in the property? Do the tenants have content insurance? Will the tenants be responsible for lawn care and snow removal? Has a move-in inspection been completed? This is vital and legal information that every owner should be made aware of. Every property owner should expect that their rent deposit and first month's rent will be deposited into their account within 14 business days. This is an important security measure, and is often needed to cover the cost of a vacancy, repairs or new investment property. Unless you have made other arrangements, follow up with the whereabouts of lagging transactions. When initially hiring a leasing agent, make your expectations known as every owner has a preference on how they would like business to be conducted. If you have built a trusting relationship with a leasing agent, advise that you would still like the lease and inspections to be sent to you. After all, this is your investment and a home that you have purchased.